We’ve had quite a few well, shall we say expensive trips and days out in recent weeks. For this week’s escapade we were looking for something cheap. I referred to my planning notebook (yes I have one) and Lammas Land Paddling Pool seemed to tick all the boxes. The pool itself is completely free as is the car park, a rare thing in Cambridge. 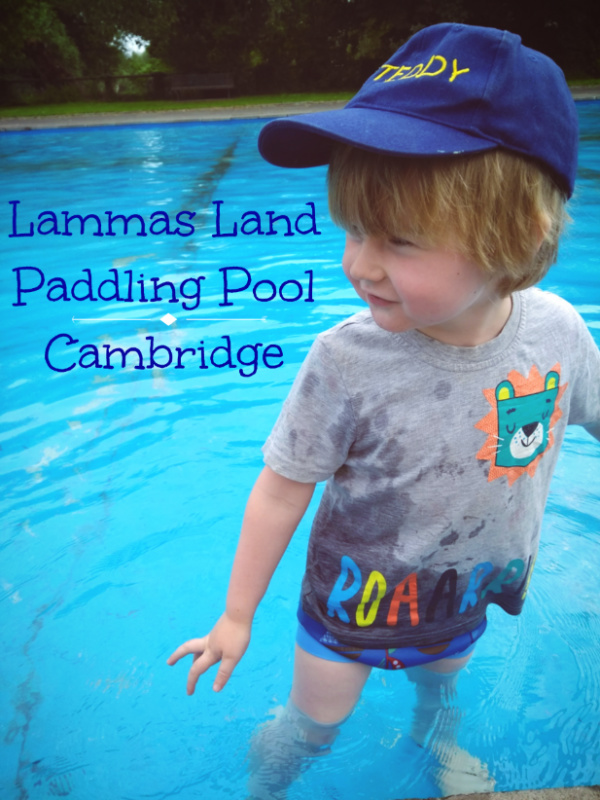 We first became aware of Lammas Land Paddling Pool while out geocaching in the parks and commons of Cambridge. Cambridge is a very green city and it’s easy to wander away from the compact city centre and find yourself on a country walk. We had done just that as we followed geocaches to Lammas Land and adjoining Sheep’s Green. The pool was empty at the time because it was winter but I imagined on a hot day it would be quite a draw. The British weather is notoriously fickle but the days in the run up had been cold first thing in the morning and glorious by lunchtime. We have to take our days off when we get them so despite another cool morning we decided to go for it. It did warm up, but not by much. The sun never really got going and just after lunch the heavens opened. I had packed spare clothes for the children to wear after getting out of the pool but nothing for rain. Lessons learnt? Never trust the British weather? Probably should have known that. What did we think of Lammas Land Paddling Pool? So aside from the weather, did we enjoy our day out? Ted thought it was great. He’s used to pools with lots of slides and things to do (I’ll write about our day at the Alton Towers Waterpark soon). 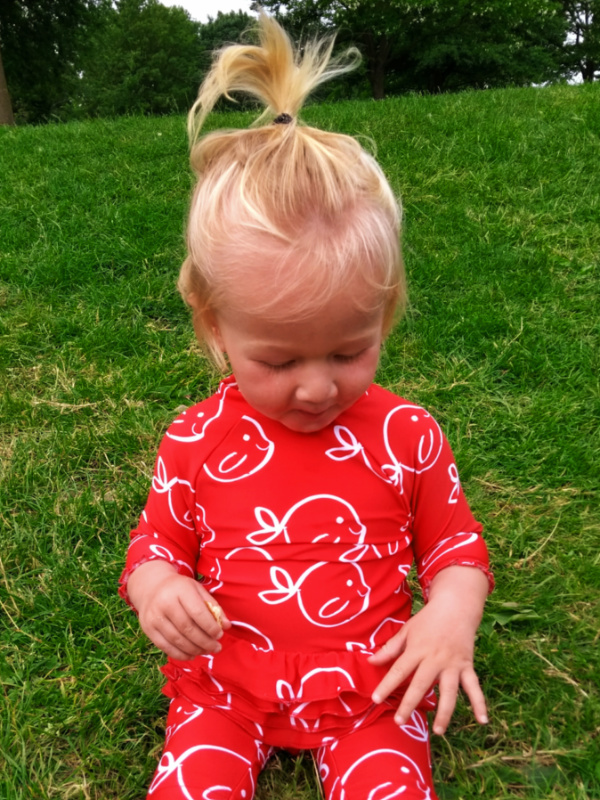 The Lammas Land Paddling Pool is a large, shallow rectangle so we decided to splash out (!) on an inflatable boat from the nearby kiosk to keep him entertained. If he had some friends to play with or if he had more toys it would have been hours of fun. With our inflatable purchase we had about an hour of fun. Maybe a little longer with a break for a picnic lunch. He splashed around in circles for a bit then floated around. Meanwhile his parents were desperately trying to stop the baby from drowning herself. She did not want to be in the water but that did not stop her running at full speed towards it every time she was let loose. Other from the kiosk which sold the inflatables alongside ice cream, hot drinks and food there were also some public toilets (which may or may not have cost 20p to use, it was unclear) and free parking. The free parking was definitely the biggest revelation. It was completely unexpected in the centre of Cambridge. Unsurprisingly it was tricky to get a spot! It’s worth mentioning, there are no changing facilities. Not a problem for the pre-schoolers visiting the pool last week. They were happy to bare all! It’s just something to think about if you want/need to get in too. Next to the paddling pool is a large and varied play park. Keeping May amused while Ted was swimming gave me plenty of time to look around. (She learnt the word ‘Go!’ for the top of the slide. I was so proud.) It seemed like instead of ripping out the equipment every few years and replacing it they had just added more. This meant there were some ancient pieces next to some band new ones. When Ted was dry and dressed he also had to try out everything. I really do mean everything. Obstacle course, wobble web, various roundabouts, swings, and horse thing. He worked his way up to the climbing frame that was definitely meant for children much older than him. He never fail to impress me with his monkey ways. Sheep’s Green is also very pleasant to walk around if you don’t mind the possibility of coming face to face with a large cow. The area is still in use as common land. 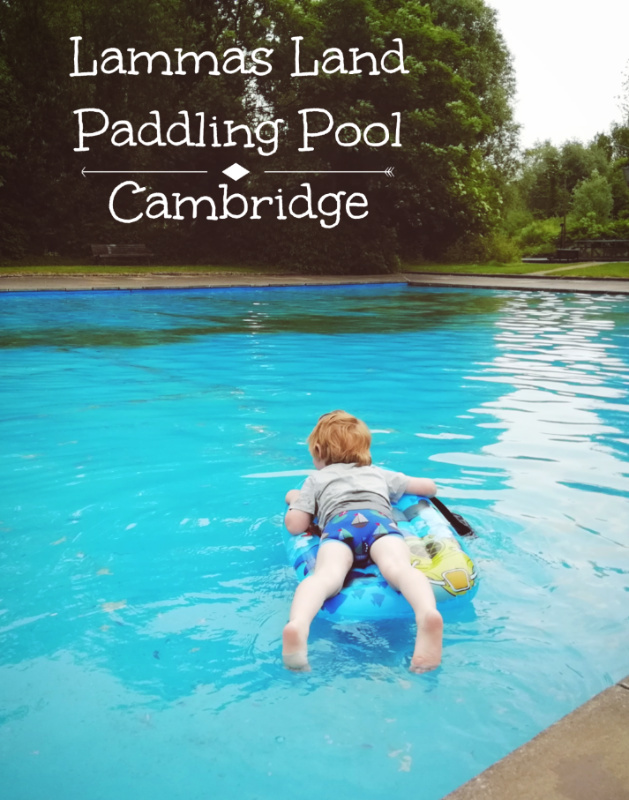 Ted (age 3) liked the pool, his new boat, climbing like a monkey and the rain. Ted did not like being cold or leaving. May (age 13 months) liked the slide, climbing or play equipment meant for much larger children and running at full speed across concrete towards a large body of water. May did not like touching or being anywhere near the water (too cold I think) and falling over on concrete. I’m not saying don’t take a baby, just be prepared for a challenge. 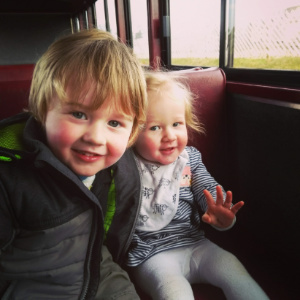 What’s your favourite local free day out?